For Sale: 40 acres in Alma Twp. Marshall Co. NW 1/4 SW 1/4 Sec. 21. 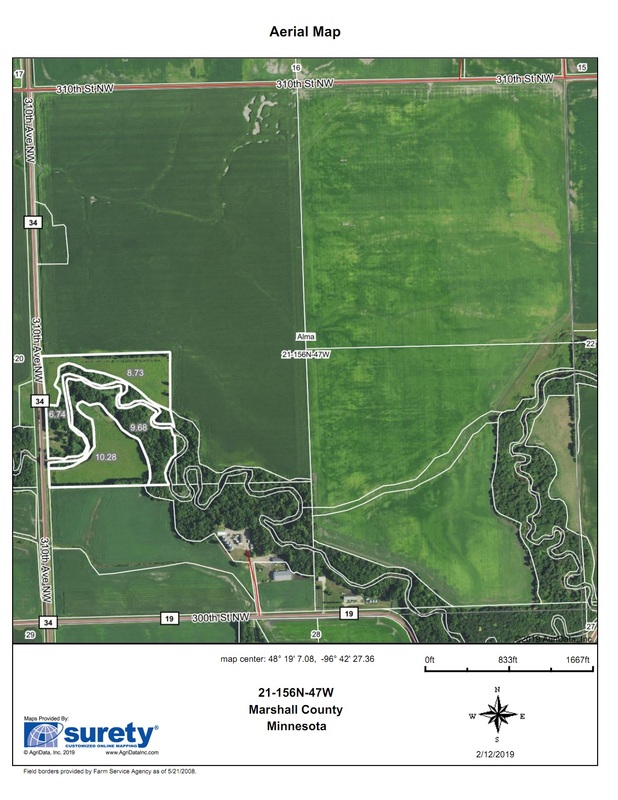 19 acres of land is CRP coming out in June of 2019. 21 acres is woods and river bottom. Very good hunting land and excellent farmland. There are some old buildings. 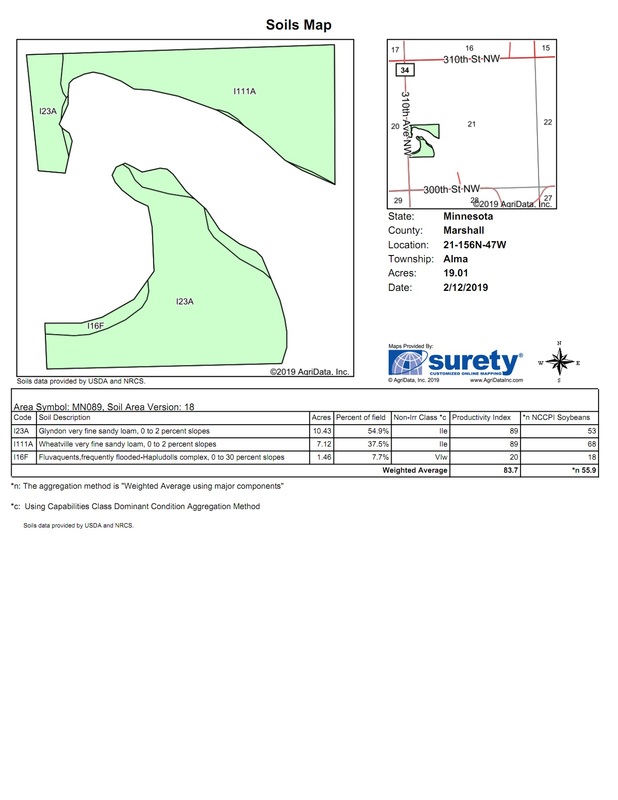 Located 9 miles NE of Warren, MN $84,000.